To mark International Overdose Awareness Day on Aug. 31, the South Riverdale Community Health Centre (SRCHC) held an event to raise people’s awareness about the opioid crisis, celebrate volunteers and grieve the lives lost. “The crisis touches everybody. And as it goes, it’s going to affect more and more people,” said Natalie Kallio, program co-ordinator with keepSIX supervised consumption site at SRCHC. The Government of Canada website states that there were 3,987 apparent opioid-related deaths in 2017, of which 1,125 cases were recorded in Ontario. Tave Cole, a harm reduction outreach worker at the facility, said the number was “staggering.” It’s completely preventable if people have access to safe spaces and if there is less stigma attached to drug use, she said. Given that 92 per cent of the deaths were accidental, knowing how to use naloxone kits — nasal sprays and injectables — can prevent opiate overdose and help save lives, she said. At the event, Cole gave a demonstration on how to use the kits with the help of a dummy, as well as handing the kits out. Becks Dudlay came to the event to show her support. Dudlay, who is originally from Alberta and is clean now, said overdose doesn’t just happen to drug addicts. “It has nothing to do with addiction. It has to do with people getting bad drugs on the weekend. All it takes is one bad batch and your life can be over,” she said, adding that she carries a naloxone kit everywhere with her. Another attendee, Cameron, who did not want to share his last name, said it’s the community’s responsibility to “make sure that everyone stays alive” and “get past the shame and stigma.” “That’s what kills people more than anything,” he said. 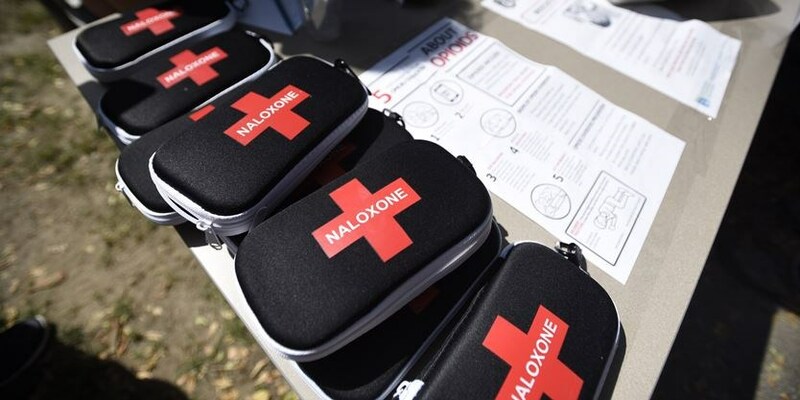 The naloxone kit training is part of SRCHC’s efforts to reach out to community members and enlist their help. Other activities include regular needle patrols. The keepSIX supervised consumption site opened in the Leslieville neighbourhood back in November of last year, while the COUNTERfit Harm Reduction Program has been around for 20 years. According to Kallio, the facility connects people who use drugs to other health and social services, makes sure that they have safe supplies to use, and that all of their supplies are disposed of safely. She added that they also provide referrals to detox or treatment centres, and try to help those who require housing. Keeping supervised consumption and overdose prevention sites open is essential. “(Dealing with) discarded needles … we can work together to address. But preventing death is a pretty important thing for every community. That will be our priority and hopefully we’ll be able to continue operating as we do,” she said. 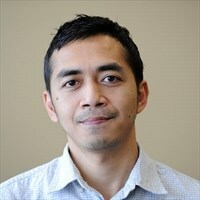 Bambang Sadewo is a reporter with Toronto.com.